This is a first! Any first is exciting - a chance to explore, to experience something new. This is the first whisky from the Netherlands reviewed here at Whisky Saga HQ. 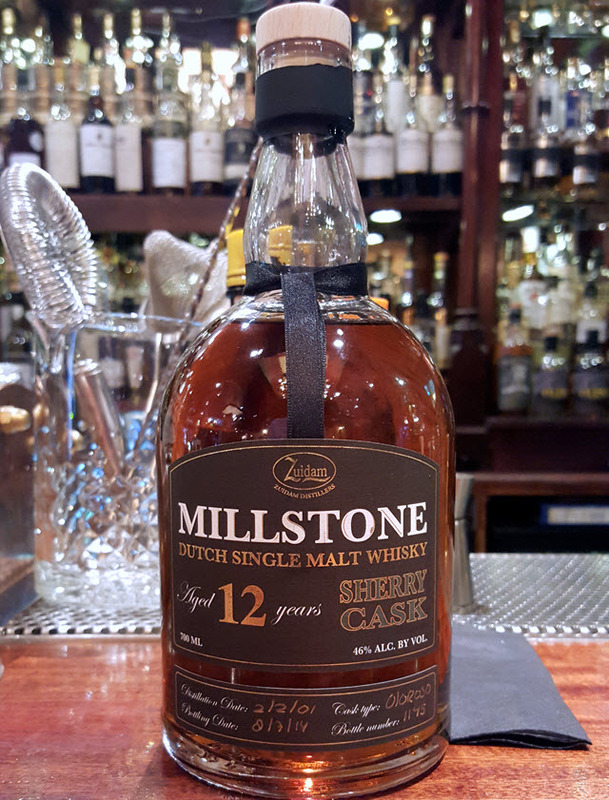 The Millstone 2001 12 YO Sherry Cask is produced by Zuidam Distillers, of Baarle-Nassau in the Netherlands. Zuidam Distillers was started back in 1975 by Fred van Zuidam. These days his sons, Patrick and Gilbert, run the business. Patrick manages the distillery and production and Gilbert looks after the customers. Their distillery has a total production capacity of 280 000 liters of pure alcohol per year. The production is not limited to only single malt whisky, as they also produce rye whisky, genever, rum, gin and liqueur. They started producing whisky in 1998, and released their first single malt in 2007, a Millstone 5 YO. Today we are reviewing the Millstone 2001 12 YO Sherry Cask. It was distilled on 2001-02-02, matured in Oloroso sherry casks, and bottled 2014-07-08. The diligent reader will immediately spot that this actually makes this 12 YO whisky 13 years old. That cannot be all bad? You can purchase the Millstone 2001 12 YO Sherry Cask in Norway at NOK 945 (item number 1825601), and in Sweden at SEK 1043 (item number 8569401). Nose (22/25): Very soft and delicate sherry nose. Very fruity, with apples dominating. It has a soft spiciness as well. Very nice. Taste (22/25): Dried fruits, pepper and oaky spiciness. The mouthfeel is rich and soft. Finish (22/25): Dark caramel, rich and sweet sherry. I also get honey and coffee, then maple syrup and dark chocolate. Balance (22/25): This is a very well balanced and fully integrated whisky. It is a solid product, through and through. Color me impressed! I will certainly try more products from Zuidam Distillers.